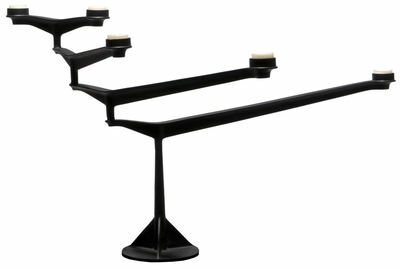 Taking its construction from the robust components of bridges and engines from the Victorian era, the Spin Table Candelabra is an inverted mobile, a revolution (literally) in candlesticks. 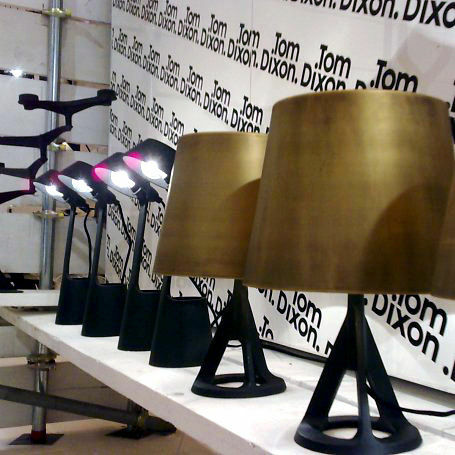 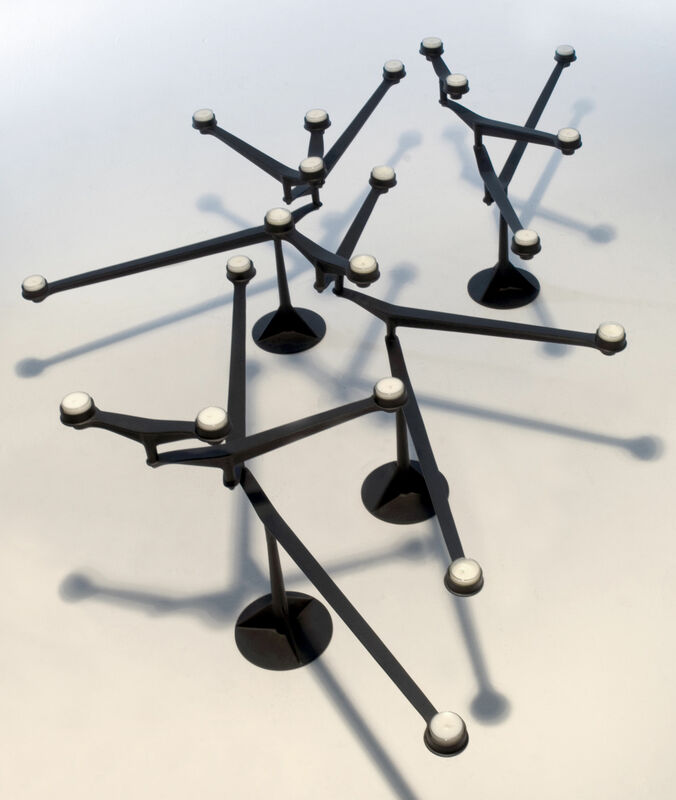 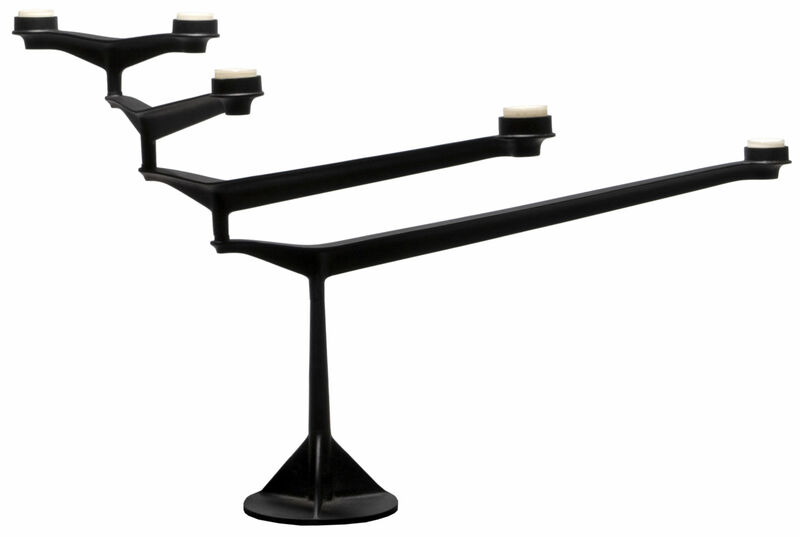 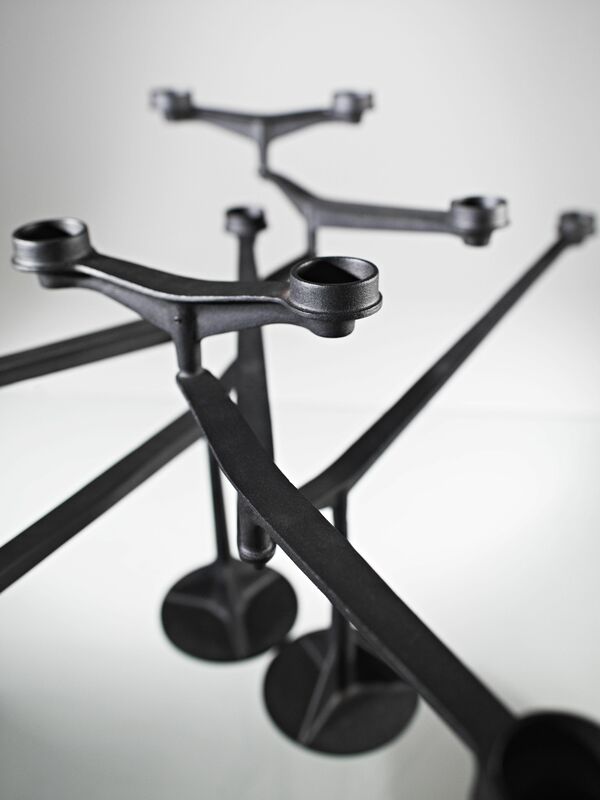 Made from robust, honest indestructible cast iron, five candles can be placed on its extending arms. 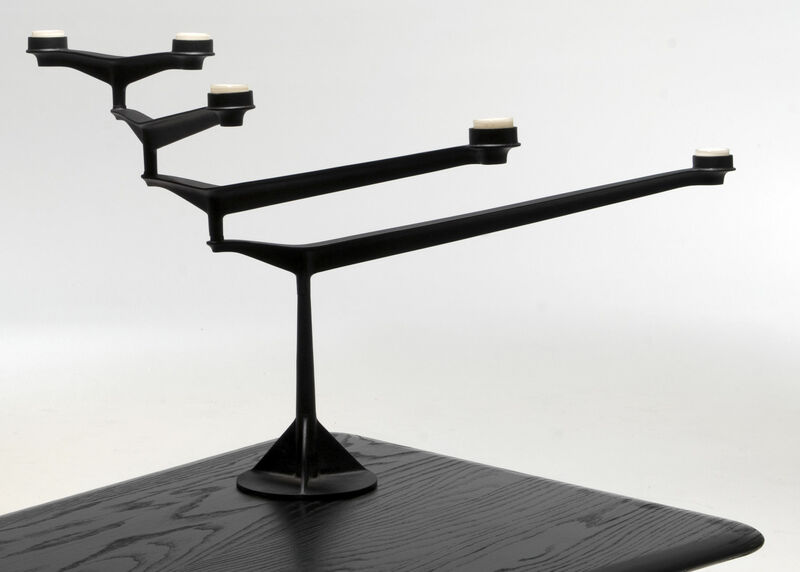 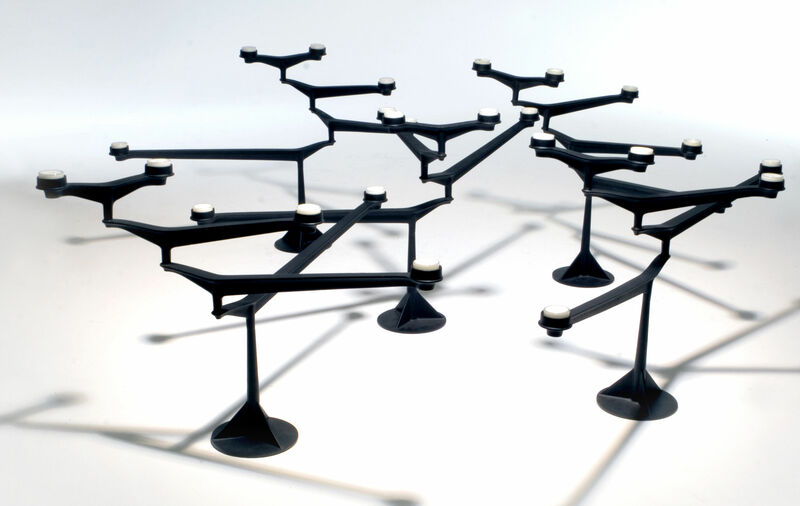 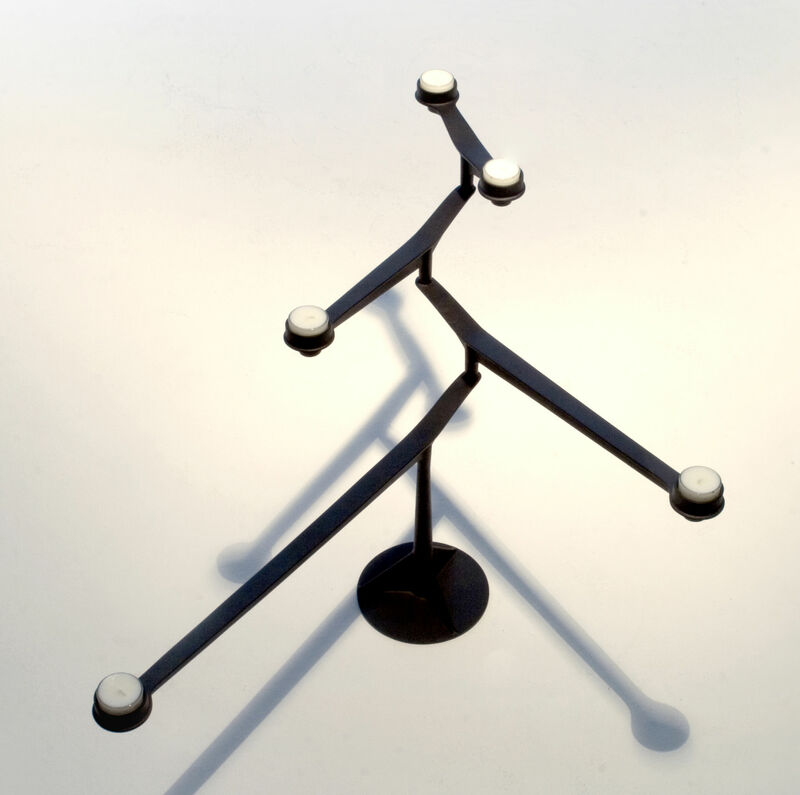 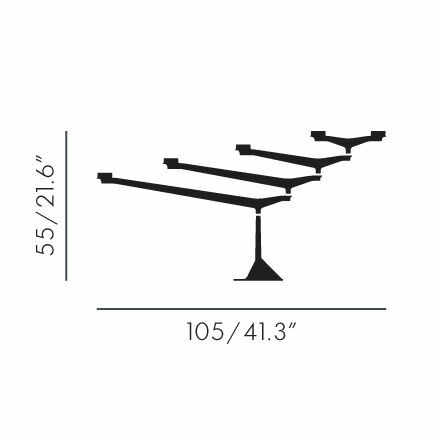 An adaptable design, the arms spin to form different positions as well as being able to hold a variety of candle sizes : tea light and tall candles.